“1. Whether on the facts and in the circumstances of the case, the Tribunal is right in law in holding that the depreciation loss from the WEG arises to an AOP and the portion of the said loss attributable to the appellant cannot be allowed as a set off against appellant’s income, on the ground that no return has been filed by the AOP and the appellant’s loss determined? 3. It is evident from the agreement, which is narrated in the order of the Commissioner of Income Tax (Appeals), that the parties to the agreement agreed to arrange for finance to the project by obtaining loans from banks and other institutions and the parties had authorised the assessee to approach any government or institution for that purpose on their behalf and thus executed necessary power of attorney in favour of the assessee for that purpose. In terms of the agreement thus reached, wind mill was commissioned on 30.09.1994. All the members mentioned above availed loan of Rs.45 lakhs from the Tamilnad Mercantile Bank, Theni for the project. The assessee had utilized Rs.50 lakhs for this project out of Rs.1 Crore loan availed by him from ICICI Bank. 4. In the original return filed, the assessee claimed 100% depreciation at Rs.36,21,438/-. The assessee claimed his share of depreciation loss at Rs.15,19,888/-. Thus he sought to set off his share of depreciation loss as against the individual income under various heads. He also claimed carried forward loss at Rs.8,91,204/-. In the revised return filed on 27.02.1997, the assessee claimed loss from windmill under the head “income from other sources” and the share of loss was to the tune of Rs.16,12,752/-. After set off of this loss against other incomes, he carried forward an unabsorbed depreciation to the tune of Rs.13,51,643/-. The assessee supported his claim as per Section 67A(2) of the Income Tax Act. In the course of hearing, the assessee submitted that AOP had filed separate return for the assessment year 1995-96 in the status of AOP on 27.11.1997, which, however, was well beyond the prescribed time limit under Section 139(4) of the Income Tax Act. 5. The Assessing Officer rejected the claim of the assessee on the ground that on a harmonious reading of Sections 80 and 67A of the Income Tax, when the share income of AOP was to be included for aggregation purposes alone, the loss, which had not been determined by the Department, could not be taken advantage of Section 67A(2) of the Income Tax Act. Thus the assessee’s claim was rejected. Aggrieved by this, the assessee went on appeal before the Commissioner of Income Tax (Appeals), who confirmed the order of assessment. He pointed out that the joint venture entered into between the parties to generate and earn income by way of sale of energy to TNEB would not, in any way, be treated as analogous to income earned from house property. Thus, when the members of AOP had raised funds with the objective of earning income by sale of energy to TNEB, the venture was a business activity. The AOP had an obligation to file return within the time allowed claiming loss. Thus when the loss itself was not determined at the hands of the AOP, the said claim at the hands of AOP ought to be treated having been forfeited; consequently, the Commissioner of Income Tax (Appeals) held that no relief could be granted to the assessee. Aggrieved by this, further appeal was preferred before the Income Tax Appellate Tribunal at the instance of the assessee. 6. The Tribunal pointed out that the AOP had admittedly not filed the return of income within the time to claim loss. In the absence of any determination of the loss at the hands of the AOP, rightly, the claim of the assessee was rejected. Thus the appeal filed by the assessee was dismissed. Aggrieved by this, the present Tax Case (Appeal) has been filed. 7. Learned counsel appearing for the assessee took us through Section 67A(2) of the Income Tax Act and pointed out that in the absence of any reference to Section 67A in Section 80, the question of rejecting the claim of the assessee for carry forward and set off of loss does not arise. She pointed out that Section 80 of the Income Tax Act makes reference to provisions of Sections 72(1), 73(2) and 74(3) and 74A(3) alone, whereby, the loss not determined, could not be carried forward and set off. Thus, when there is no specific reference to Section 67A therein, the question of rejecting the claim of the assessee in respect of the depreciation loss referrable to AOP does not arise. In otherwords, the relief at the hands of the member of the AOP is not dependent on the loss that the AOP may claimed or determined at the hands of the AOP. Learned counsel further submitted that the relief has to be automatic irrespective of whether the loss had been determined at the hands of the AOP or claimed by AOP in its return under the provisions of the Act. She laid emphasis on Section 67A(1) to the computation spoken thereto and submitted that the share of the member in the income or loss of the association or the body, as computed in the Section, has to have relevance and reference to the working done by the assessee in its return, is not dependent on the determination by the Assessing Officer at the hands of the AOP. Thus, according to the counsel, the reasoning is opposed to Section 67A(2) of the Income Tax Act. “Method of computing a member’s share in income of association of persons or body of individuals. 9. As is evident from the reading of Sub-Section, the apportioning of the share of a member in the income or loss of the association or body under the various heads of income has to be in the same manner in which the income or loss of the association or body has been determined under each head of income. Thus, determination of loss or income at the hands of association or body of individuals leads to the determination of the same at the hands of the member in his assessment and such determination of the share of the income of a member in the association is not left to the computation by the individual member in his return showing his share of income. Hence, the grant of relief under Section 67A of the Income Tax Act is thus dependent on the determination of the income at the hands of the association, so that the computation of the share of income of the member in the association could be given effect to in the manner in which it has been determined at the hands of the association or body of individuals. 10. On facts herein, it is clear that the AOP in which the assessee was a member, for the reasons best known, had not chosen to declare the loss within the time prescribed under the provisions of the Act by filing a return. The assessee was entrusted with the task of availing the loan and organising the affairs of the AOP. When the AOP was under the legal obligation to file its return declaring loss or income, as the case may be, and had defaulted in filing the return within the time prescribed, the assessee cannot take advantage of the absence of reference of Section 67A in Section 80 of the Income Tax Act. The relief that has to be considered for the purpose of Section 67A is not dependent on Section 80 and for that matter, Section 80 has nothing to do with the computation to be done under Section 67A by the assessee. In other words, the computation on Section 67A has to be done in the manner prescribed therein and the provisions of Section 67A is not dependent on what has been given under Section 80 of the Income Tax Act. 11. In the circumstances, we reject the assessee’s contention and dismiss this Tax Case (Appeal). No costs. This entry was posted in Sec. 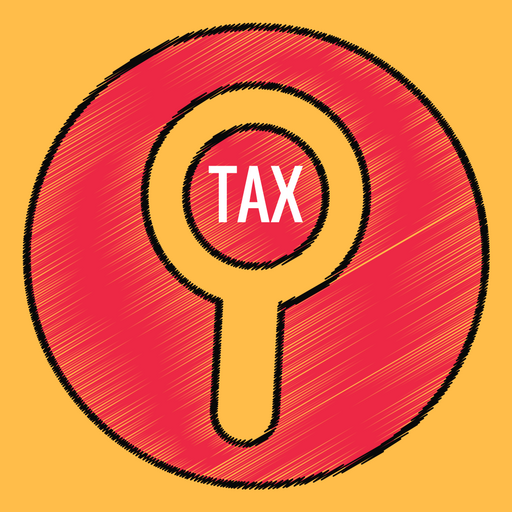 67A, Section 67 and tagged 363 ITR, depreciation allowance, In favour of Revenue, Madras High Court.